Based on an original idea of Drs. 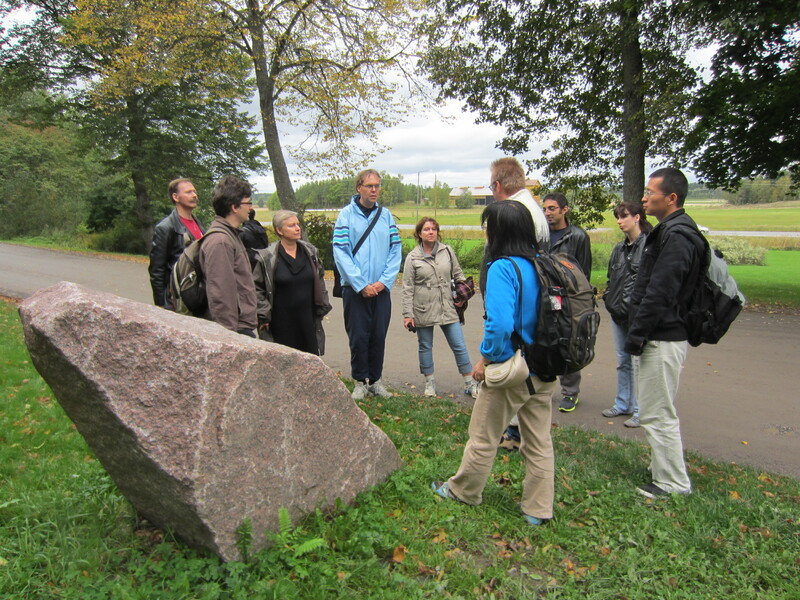 Kirsi and Harry Lehto, the route was developed in 2011 as a joint project of about ten scientists, from different departments of the faculty of the mathematical and natural sciences of the University of Turku, and of Åbo Akademi. Upon its completion it was transferred to be maintained by the TimeTrek association. New members are welcome to join the interest group. The walks can be done in different lengths – for instance, by walking the whole length of the age of the universe (13,78 km), the length of the age of the Earth (4,56 km), or the length of the multicellular life forms (about 1 km). Guided walks are offered – in Finnish and in English, to any age and interest level of the trekkers. Along the trek there are nice coffee houses and guesthouses (Tuorla, center of Kaarina, all the warehouses in biolaakso, Pub 44 on Lehmustie, Kupittaa paviljonki, and several cafés and lunch places on Hämeentie) .